Why so high? A pleasant surprise. 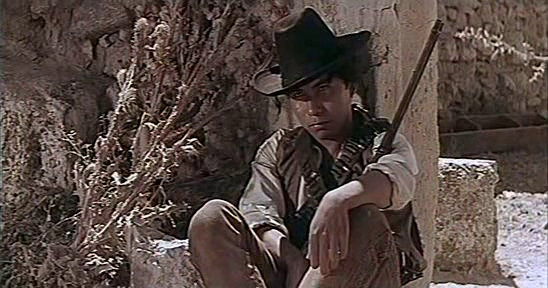 Quality direction by Elorrieta elevates this early Spanish b-western above similar movies by directors like Klimovsky. 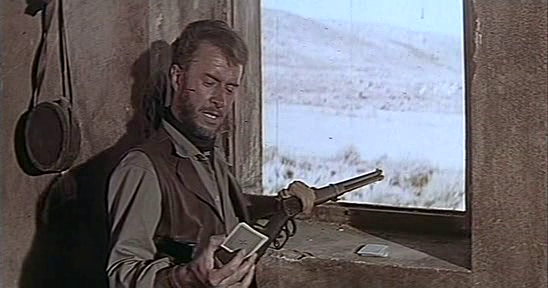 Intelligent use of widescreen, staging, composition in depth, texture, and camera movements reduce the need for multiple shots. 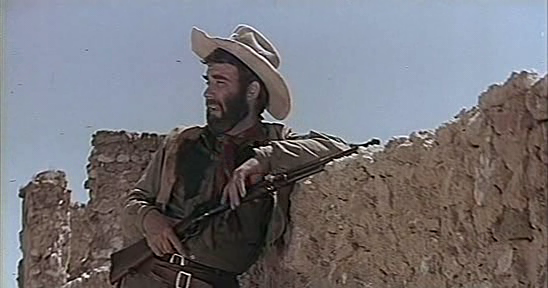 At the same time, this technique saves the movie from the static feel of so many other low budget Spanish westerns. 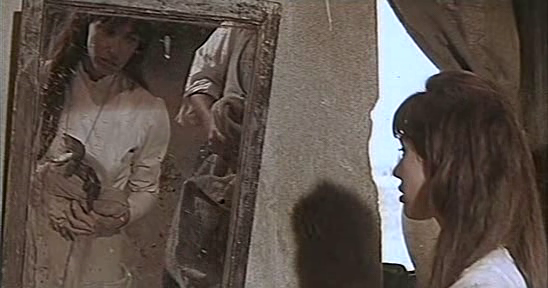 Solid low budget film-making ~~ this is why I rate this movie a little higher than I would have expected going in to it. 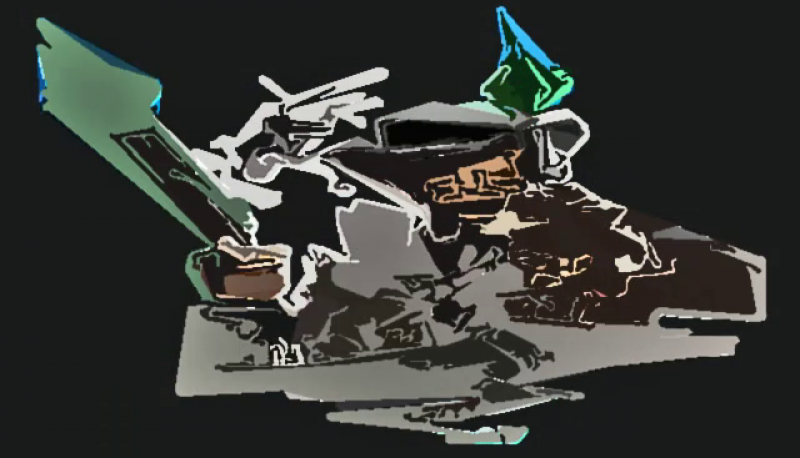 Pan and scan versions would remove this element from the movie and make it much less interesting. 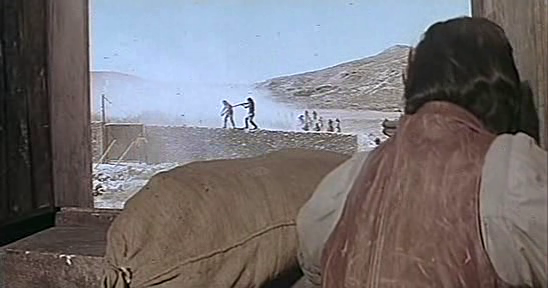 However, the mass action is shot in a much more pedestrian manner. A small group of people at a stage station fight Geronimo’s Apaches and each other in a bid to stay alive. 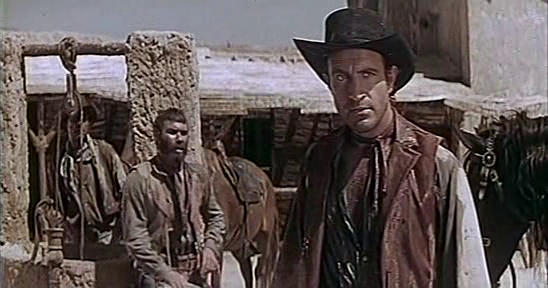 There are a few silly, awkward scenes (including a stage coach attack), but for the most part it works. A very interesting review of this could be written, placing this movie in its context of Fascist Spain. 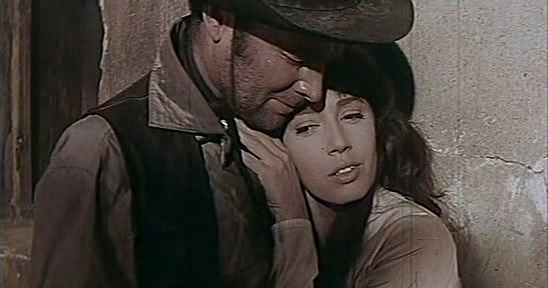 This film is something of a companion piece to Kliimovsky’s inferior Ballad For A Bounty Killer, with the same sets and much of the same cast. 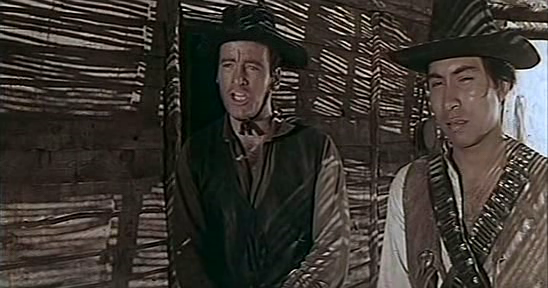 Like other early Spanish westerns, this movie is “leisurely paced” with lots of dialogue, so if you are looking for lots of action this movie will not satisfy you. However, it should be noted that it is no slower or talky than the most near-contemporary b-grade American Indian v. Calvary siege films on which it was modeled. 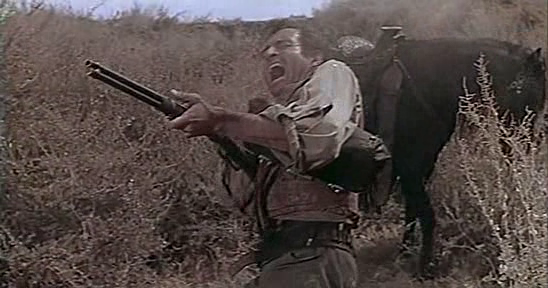 I am now eager to see José María Elorrieta’s other film in the same vein ~~ Massacre At Fort Grant (1964). 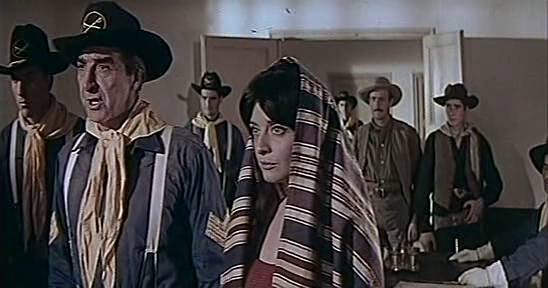 Vengeance of Pancho Villa (1967) is increasingly widely available. 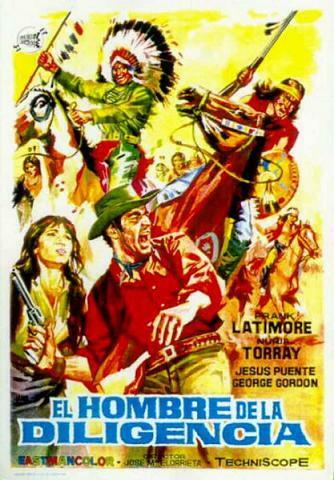 It is not as successful as this movie, but it is a fairly average Spanish western of middling quality (I gave it 5.75 / 10 stars). 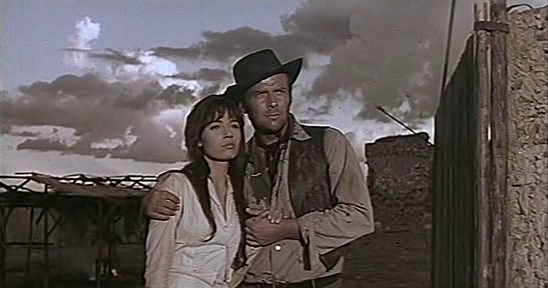 He also directed a late western If You Shoot . . . You Live! (1979) that I have not seen available. If you know where to get a copy, I would like to know. Note: I watched a fairly faded Spanish language version. A fansub .srt was available, but seemed damaged or incomplete.